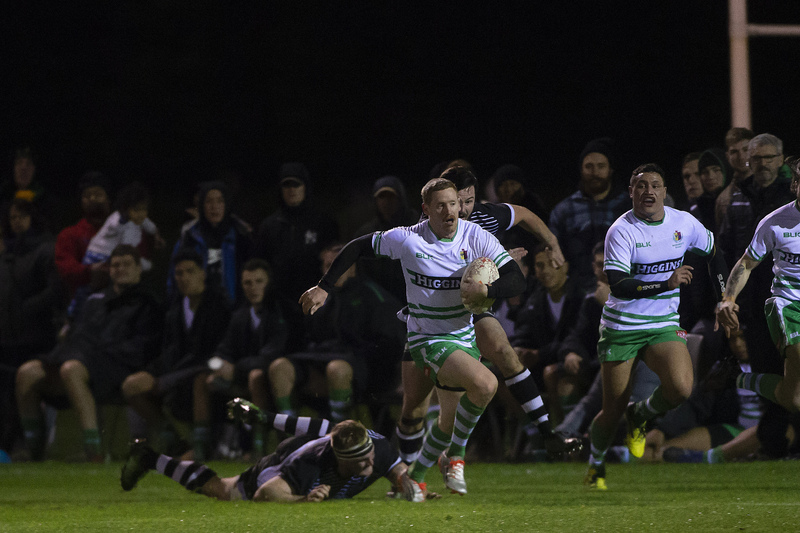 The Manawatu Evergreens fell just short in an exciting preseason match against Hawke's Bay 29-24 at the Massey University Sport and Rugby Institute on Wednesday night. The match ended 12 minutes early when Hawke's Bay's Will Tremain broke his leg, leaving the visitors with just 14 fit players. Manawatu scored four tries with a host of players putting their hands up with big performances. The Evergreens wasted little time getting underway with Hamish Northcott making the break and putting Sean Rankin away for the try inside the first four minutes. Hawke's Bay responded with try from a pick and go five minutes later. In typical preseason fashion both teams had moments of attacking pressure but errors proved costly. After a couple of penalties, Hawke's Bay built some consistent pressure bagging a try at the 19 minute mark. They started to find more space down the left wing and scored again in the 26th minute. Northcott was in impressive form putting his teammates into space, while James Tofa made a handy break only to be held up. Gene Syminton grabbed the final try of the half from short range. Hawke's Bay were up 17-10 at the break. Manawatu came out string in the second half with No 8 Sam Wasley, flanker Liam Mitchell, flanker Tyler Moeau and wing Adam Boult and new signing Brad Tucker impressing. But it was first five-eighth Jade Te Rure who made the biggest impact. His calming influence on the team helped them find space on a number of occasions. Te Rure bagged a try for himself early in the second half and was involved again in a sweeping movement that put away Boult. But just as Manawatu looked like they were getting the wood on Hawke's Bay, the Saracens scored from a counter attack. With the match coming to an early end, there was no time for Manawatu to make a comeback.